>> What’s the Impact of a Los Angeles Uber Accident? What's the Impact of a Los Angeles Uber Accident? Hey, thanks for checking out Sally Morin Personal Injury Lawyers: Los Angeles personal injury attorneys' blog. In this brief article we talk about some of the law and news surrounding the latest Los Angeles Uber accidents. Despite the occasional story of a high-profile Los Angeles Uber accident that grabs a lot of headlines for a news cycle (like the crash Whiplash star Miles Teller and his girlfriend Keleigh Sperry were involved in), the majority of Uber accidents in LA aren't caused by Uber drivers. Indeed, many of these particular car crashes in LA are caused by reckless, careless, or intoxicated drivers crashing into Uber vehicles. The disparity adds to the debate about whether or not using Uber is actually safer than driving yourself or hiring a "professional" transportation service (such as a local cab company) to get you from Point A to Point B. However, none of it helps the innocent victims in these types of crashes: the passengers. In fact, having been involved in an Uber accident in Los Angeles—no matter who was at fault—adds another layer of complexity to the financial recovery process, creating delays and frustration that most victims simply can't afford. Do you seek compensation from the Uber driver's insurance? The Uber insurance itself? The other driver's policy? It's not hard to see why so many people have serious questions after they've been involved in an Uber accident here in LA. As personal (and painful) as these tragedies can be, it's essential to examine what sort of impact these Uber accidents really have on the future of ridesharing as a whole. It's hard to get accurate figures concerning Uber accidents because sometimes these types of collisions aren't reported as such. 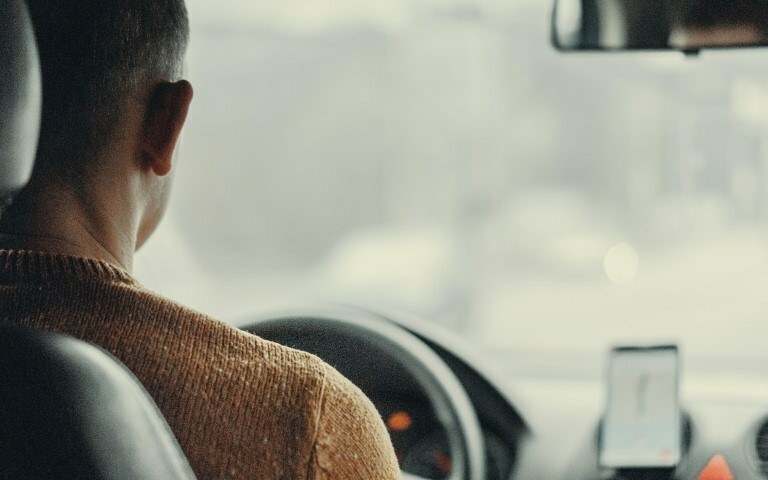 In fact, many police reports simply collect the cut-and-dry information required by law and often that data omits whether a particular driver was working for a rideshare service at the time. Uber does keep statistics about accidents its drivers are involved in but that information isn't publically accessible and often only becomes available in distilled form with very few details included. Often the only way the public in general finds out about an Uber accident is if the victim speaks out or a news agency goes digging for facts. Long story short: most Uber accidents go unnoticed—no matter how heart-wrenching they are for victims and surviving family members. For example, the driver in a recent crash was arrested for DUI and charged with manslaughter. That was the headline that ran in the media. However, the victim in this story was a female 20-year-old Uber passenger who succumbed to her injuries after being rushed to a nearby hospital. Sadly, that's not the first instance of an Uber accident caused by a drunk driver here in LA. Last year an Uber driver was killed and her passenger seriously injured when an intoxicated driver ran a red light and smashed into their vehicle. The driver is currently facing murder charges stemming from this fatal Uber accident in Los Angeles while the surviving victim struggles to rebuild a life and grieving family members are relearning how to live. An eerily similar case from three years ago ended with five people were injured a Los Angeles Uber accident after a car smashed into an SUV. The SUV (being used as a rideshare ride at the time) flipped over, tossing the victims around inside the passenger compartment—seriously injuring all of them. The driver of the car was believed to be under the influence of alcohol at the time of the collision. But it's not always alcohol that causes Uber accidents in Los Angeles. Just recently a foreign exchange student was killed in an Uber accident when the vehicle she was riding in was struck by an SUV. That SUV allegedly ran a red light. Was the driver speeding? Were they distracted by the Uber app? In the end, it doesn't really matter to the victim's family. Why Are Los Angeles Uber Accidents So Important? It's no secret that public exposure lends power to any cause. It should come as no surprise then that a high profile Los Angeles Uber accident serves as a sort of lightning rod for public opinion and policy. Uber, Lyft, and other rideshare companies are still in their infancy, still trying to find their place in society, and still struggling with the legality of (and liability associated with) the service they offer. Safety advocates, taxi drivers' unions, and politicians all want Uber to take responsibility for the drivers it hires, the accidents it causes, and the injuries victims suffer in crashes. But the company was designed from the ground up to limit that liability. As lawmakers continue to draft legislation to protect passengers, pedestrians, and the public at large; as safety groups continue to mount pressure against Uber to police itself; as drivers themselves push for more accountability, more protection, and fairer compensation every Los Angeles Uber accident will play a part in swaying public opinion one way or another. How will Uber respond to these life-altering tragedies? Will the company listen to the demands of outraged victims and their advocates and change how it does business? Will it weigh profits at a premium and find even more ways to reduce liability? Will lawmakers set new precedents and require rideshare companies to do more? All of these questions and more will be answered in the very near future and every single LA Uber accident (and those in other high-profile locations like New York, San Francisco, and Miami) will play a part in defining that future. If you or someone you care about has suffered serious injury due to an Uber accident in Los Angeles, contact us by getting a FREE online case evaluation now.